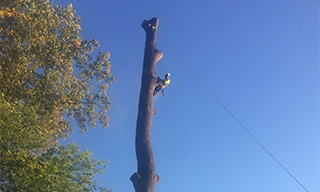 Tree Works provides all different types of tree services in Charlotte, NC and the neighboring areas. Charlotte residents can expect top-quality workmanship with affordable prices when they choose Tree Works. We are staffed with a team of fully-trained and experienced technicians who take the time to make sure each job is done right. Tree Works is fully insured and outfitted with the latest state-of-the-art equipment. 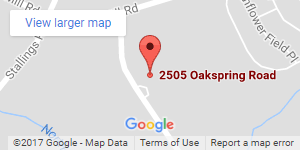 Our focus is on providing each customer with the very best tree service in all of Charlotte. We take the time to provide fair estimates and explain the details of our extensive tree services. Our tree trimming service begins with an evaluation of your trees and then we apply the most appropriate techniques. We will be sure to remove all dead branches and our tree trimming is always done with spikeless climbing. It is our goal to enhance the beauty and ensure the health of your trees. There is no job too big or small as our professional team can give any tree an entirely new look with our expert tree trimming service. There are different ways we can take down a tree at Tree Works. A lot of that depends on the condition, size and species of the tree. That is all taken into consideration as part of our tree removal service. We can remove unhealthy trees, ones that are leaning, and others that have already fallen down. We can also take the tree and haul it off your property. 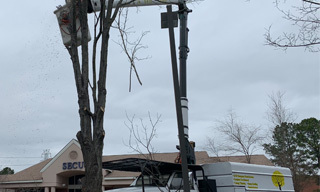 Whether a storm has knocked down a tree in your yard or disease has made it weak, our team can make sure that tree removal is a swift and simple process. Our stump grinding services can give a whole new look to your yard and that is done by getting rid of that ugly old tree stump. Removing a tree does not always mean that all of the tree will be gone. There is usually the need to get rid of the tree stump as it can quickly become an eyesore. Stumps are also havens for pests, such as termites. That could make for a lot of problems should those termites every reach your home. Why take that chance? 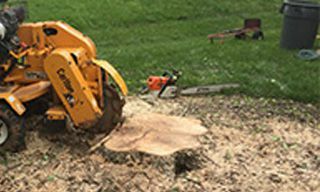 Tree Works offers stump grinding service, which is a more affordable option than stump removal. Stop staring at that old stump and let Tree Works grind it down to nothing. Please call for any tree trimming, tree removal or stump grinding. Get your trees elevated before you plug and seed your yard so you can have that lush green grass you always want all year long!!! Let us help you take care of any trimming, elevating, deadwooding, sun exposure or canopy thinning. Call For Free Estimates!